Having live plants will not only bring a stunning look to your aquarium. It will also bring immense benefits to your aquarium fish. Getting started on what plants to grow in your aquarium sometimes can be difficult. We’re here to help you. Here are three aquatic plants you can easily grow and start with. Java ferns are hardy and will do well when planted in either a moderately lighted area or in the shade. They do not require too much nutrients or CO2 for them to grow. These aquarium plants do not need to be buried in sand and are usually fixed to driftwood or rocks, which the roots envelope and cling on to. They are planted either in groups or as a single plant. This is, as the name implies, a moss. It has no actual roots, but clings to driftwood and other aquarium structures via root-like growths called rhizoids. 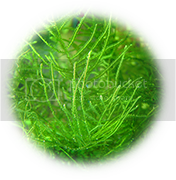 Java moss grows quickly, considering how little it needs, and can even live in a betta bowl or under a single incandescent bulb!. If you plan to keep Java moss in a tank with a power filter, I recommend tying it to driftwood or other aquarium décor with fishing line or cotton thread (brown or dark green blend in well). Over time, the moss will begin to “adhere” to the structure it is tied to and will spread as it grows. You may prune it with a pair of scissors to keep it neat-looking. If you keep it in a bowl or a tank with an undergravel filter, you have the additional option of letting it float freely (if you do this when using a power filter, it will get sucked up against the intake and make a mess). This is an excellent choice for a livebearer tank, as the fry will hide in and feed off of the moss until they are large enough to venture out into the rest of the tank. 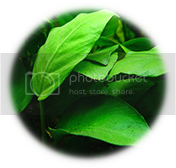 There are different kinds of Anubias such as Anubias Afzelli, Anubias Barteri, Anubias Nana, etc. Anubias tether the rhizome to a rock or bark and allow the roots to establish themselves. Simply ensure the Anubias are planted above the substrate with roots exposed. With very limited pretentions in terms of light and water, Anubia Nana for example is ideal for everyone, from beginners to the most advanced lovers of anubias aquarium plants. 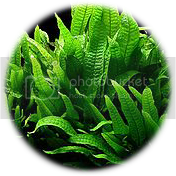 An important aspect everyone should take into account, however, is that algae can appear on the leaves if the plant is not being taken care of properly. This involves positioning the plant in a less bright area and maintaining a constant level of PO4 in the water. Most people have a different way to handle the demands of the plants. Some people might find it easy to handle particular plant type some find it difficult. You can try to mix different plants. I am sure you’ll find the best to suit your aquarium. You can start with 3 basic aquarium plants.